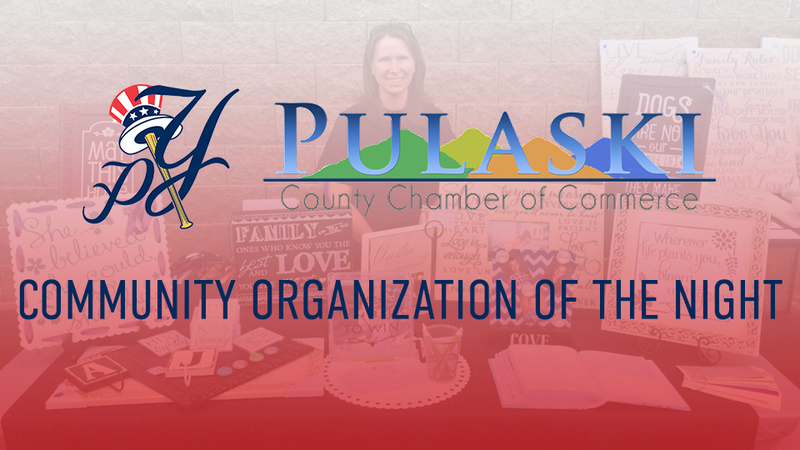 PULASKI, Va. - The Pulaski Yankees are excited to introduce the Community Organization of the Night presented by the Pulaski County Chamber of Commerce for the 2019 season. Through this program, the Yankees will highlight one area non-profit organization at each home game during the season. The organization will have the opportunity to set up a table on the concourse at Motor Mile Field at Calfee Park, be shown on the jumbotron during the game, and welcomed with a PA announcement. "We look forward to welcoming various non-profits to the ballpark this summer through the Community Organization of the Night program," said Pulaski Yankees Assistant General Manager James Cahilellis. "This is another avenue for us to give back and give organizations a platform to highlight the incredible things they do in our community." To be the Community Organization of the Night presented by the Pulaski County Chamber of Commerce, organizations must be a registered 501(c)(3) non-profit located in Pulaski County or a surrounding area. Organizations must purchase a minimum of 20 group tickets for the game - a $100 investment that helps increase the group's presence at the ballpark on the night for which the non-profit is the Community Organization of the Night. 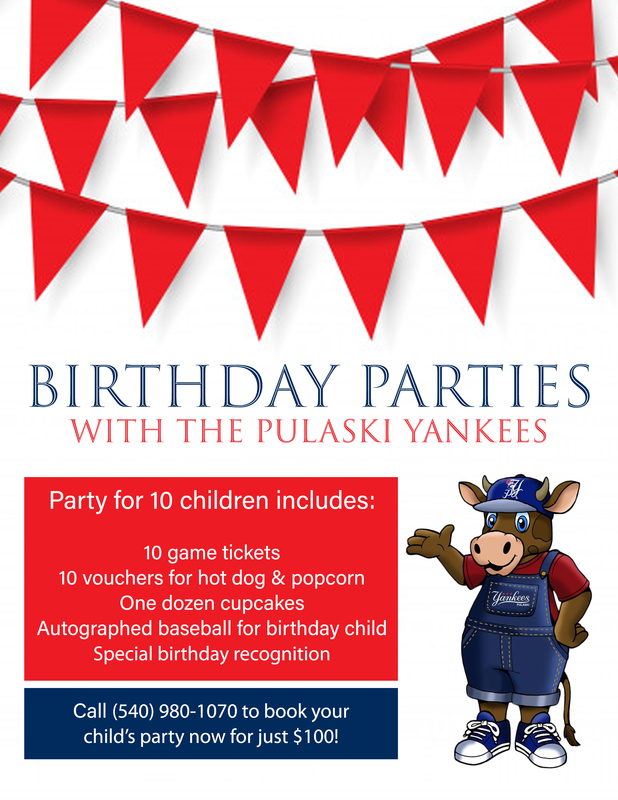 At the end of the season, the organization that sold the most group tickets will receive a $400 cash donation from the Pulaski Yankees and the Community Organization of the Night program presented by the Pulaski County Chamber of Commerce. Space for this program is limited to 34 non-profit organizations (one per game) and requests are accommodated on a first come, first served basis. If your organization is interested in being the Community Organization of the Night presented by the Pulaski County Chamber of Commerce, please contact James Cahilellis at jcahilellis@pulaskiyankees.net. The 2019 Pulaski Yankees season begins on June 18 at Johnson City. The Yankees home opener at Motor Mile Field at Calfee Park is Friday, June 21 vs. Bluefield. Flex tickets and season tickets are on sale now by phone (540-980-1070), in office, or at pulaskiyankees.net; individual game tickets will go on sale in April.